Our Rope Access Team are IRATA trained and qualified. IRATA International’s rope access system is a safe method of working at height where ropes and associated equipment are used to gain access to and from the work place, and to be supported there. The primary objective when using rope access methods is to plan, manage and carry out the work with minimal accidents, incidents or dangerous occurrences, i.e. to ensure a safe system of work is maintained at all times, and with no damage to property or harm to the environment. IRATA International has in place a continuously evolving regime of work procedures that members are required to follow and which are monitored for compliance to ensure that a safe system of work is established and maintained. This sets IRATA International member companies apart from rope access companies that are not subject to such a rigorous scheme. Using Rope access is so much faster and less labour intensive than conventional means of access with a cost effective capability. Equipment used (i.e. ropes) can be installed and removed rapidly to ensure minimum disruption and therefore could help reduce overall lead times on projects, which in turn sees a reduction in project costs. Other trades can continue their tasks without disruption at ground level, compared with other access methods, i.e. scaffolding. Rope systems can be easily installed to reach almost all areas, which may not have been possible using conventional means. 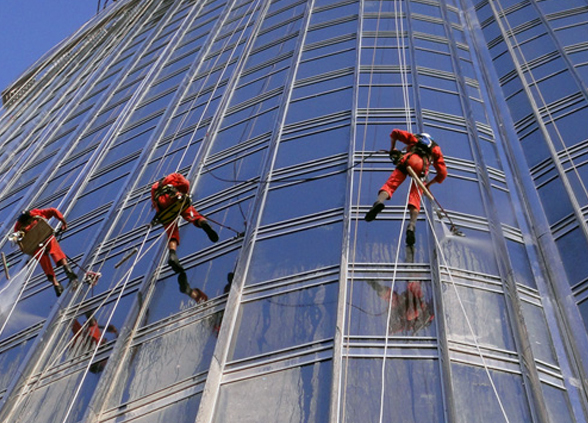 Rope access offers greater flexibility for rescheduling and can therefore take advantage of any weather conditions. 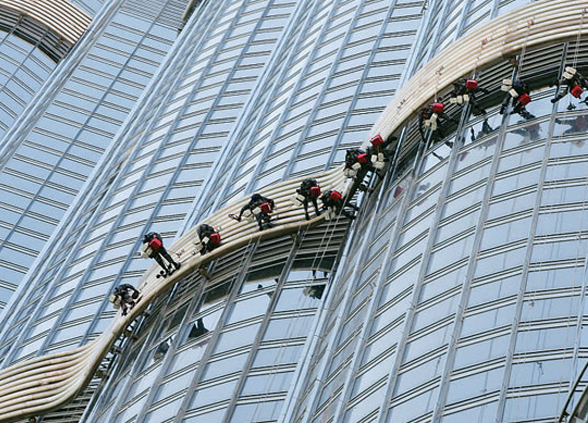 Due to the unobtrusive nature, rope access, can offer building owners less visual impact during operations, enabling them to retain their visual integrity. The job application can be conducted in any shift on any day. Rope access operatives can often accomplish in a matter of hours, work which previously took days to complete using conventional access methods.